Have a question about sandcarving? Our FAQ section was built around common questions posed by the sandcarving community. What materials can I sandblast? There are many materials that are compatible with sandblasting. Whether you are looking to etch or deep carve, we have created a quick reference chart for Sandblastable Material Compatibility. CLICK HERE to download our handy chart. What size/type of grit should I use? For best all-around results, we recommend Silicon Carbide grit in a 180 mesh size. To do fine detail, and for shading purposes, 220 mesh or finer will work well. Other abrasives (such as Aluminum Oxide) can be used, but Silicon Carbide is preferred. Why is a pressure pot better than a siphon-fed blaster? Pressure pot blasters work faster (up to 4x faster) than siphon-feed blasters. Further, pressure-pots allow for more control of the blast media and pressure. With a pressure pot, you can blast at pressures as low as 5 psi for shading effects, etc. up to the higher pressures needed for certain substrates. Why won’t the mask stay on the glass when I blast? This can have several causes. The most common is lack of adhesion. This can be caused by using glue that is not mixed well, by air bubbles trapped under the mask during application, or even by contaminants on the substrate. Mask that is properly adhered to the glass will reduce the incidence of blow-offs. Another cause is that the air mixture in the sandblaster may be too lean. This increases the power of the air coming out of the nozzle, which can literally blow the mask off of the glass. Increasing the flow of abrasive media slightly may reduce mask blow-offs. Why do I blast THROUGH the mask? This can happen when the nozzle is held in one position too long. This will cause the mask to heat up and soften, reducing its capabilities as a resist. A second possible cause is contamination in the grit. Contaminants will act like a "dart", piercing the mask, and causing a pinhole effect. A third possible cause is the use of abrasive media that is too coarse. Photoresists are most effective when used with grit of a 180 mesh size or finer. How do I remove the mask when I am done etching? The mask can be removed by peeling, or by soaking the object in warm water. Removal can be expedited by spraying the piece with some Resist Remover prior to soaking. Adding some soda ash to the water can also help when removing RapidMask. What is the difference between Aluminum Oxide and Silicon Carbide? Silicon Carbide cuts twice as fast as Aluminum Oxide, lasts much longer than Aluminum Oxide, does not get dull with repeated use (self-sharpens), and does not cause static electricity to build up in the cabinet. It is also more expensive than Aluminum Oxide. A side-benefit is that it actually “glows” when hitting the substrate, which can be used as an indicator of nozzle aim. How long will my blaster parts last? This will vary with the type and size of abrasive used, the pressures used for sandblasting, and the substrates blasted. Generally speaking, coarse grit and high blasting pressure will wear out parts faster than fine grits and low pressures. What size compressor should I use? This will vary with the size of nozzle, and type of blaster. For example, a pressure pot with a 3/32” nozzle may only need 7 CFM of air at 40 psi. A siphon-fed blaster may require double that amount. It is always better to have MORE air flow capability than you need. For best results, please refer to the specifications guide that came with your blaster. Why does the photoresist film start to dissolve before I get the image washed out? Film is not fully exposed. Utilize instruction guidelines for correct exposure times. A second possibility is that the washout is taking too long, and the emulsion is dissolving from water saturation. Why should I use hot water for washing out my film? Hot water will dissolve the emulsion faster than cold water. Using hot water reduces the risk of over-washing the film, which can cause failure of the mask. Why can’t I use white backlighting in my washout booth? White light contains ultra-violet rays. These rays may cause the film to be exposed during washout, resulting in difficult or incomplete washout. When I wash out my film why do the small details dissolve/move/wiggle/delaminate? This has several possible causes: underexposure or over washing are most likely. Underexposure can be corrected by following the exposure schedule listed in your instruction guide. The underlying cause of over washing is usually a lack of density in the artwork. 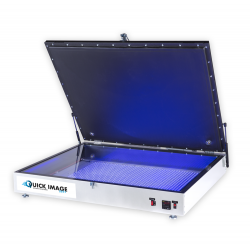 This allows UV light to partially expose areas of film that should not be exposed. This increases washout time. Increasing artwork density will improve results. What should I do if my whole mask starts to dissolve/delaminate/distort before I can wash out my image? This is probably caused by lack of density in the artwork. Please see above question "When I wash out my film why do the small details dissolve/move/wiggle/delaminate?" A second possibility is that the mask has been exposed to UV light prior to use. This cannot be corrected. What should I do if my image won’t completely develop/wash out, no matter how long I spray it for? This is probably caused by lack of density in the artwork. Please see question 4. A second possibility is that the mask has been exposed to U.V. light prior to use. This cannot be corrected. How long should I dry the film for before I use it? The film should be allowed to dry until it is one solid color (no "tiger striping"). A second indication is ease of carrier removal. How should I dry the film? 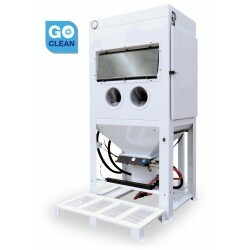 Film should be dried vertically (to avoid standing water), or in a cabinet-style (PB500) dryer with circulating warm air. Flat-drying on a table will work, but is not normally recommended. Flat drying will take significantly longer, and increases the potential for film damage from standing water. Why do I need yellow/safe lighting in my entire photo mask making process? Why can’t I work under white light? Photoresist films are sensitive to ultra-violet light. Pre or post-exposure to UV will reduce the capabilities of the film. Yellow lighting contains reduced levels of ultraviolet and is recommended. You can use the film under regular fluorescent or incandescent light for short periods of time, but “safe” lighting will allow for extended work periods without concern of unintended film exposure. My artwork is black, why won’t this film work? It is important that the black areas can block ultra-violet light. Toner that looks dense on vellum may actually be closer to translucent in its ability to block UV light. A simple test: hold the artwork up to a light source (sunny window, lamp, etc.). If you can see any light through the black areas, the artwork is not dense enough. For an example of high density, hold a piece of black construction paper up to a light source. No light will bleed through. This is the density your artwork should provide. Different types of artwork media may provide better results. 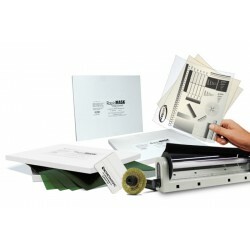 For a general comparison, artwork types are listed in order from highest density and resolution to lowest: Genuine Film, AccuArt™ Waterproof Inkjet Film, PFX Drafting Vellum, UVII Standard Vellum. What detail or resolution level can I achieve with photoresist film? With the proper equipment (vacuum frame exposure, high-pressure washer) and film (3 mil), it is possible to achieve resolution of .003” (.123mm). How do I remove the carrier sheet when I’m ready to blast? Try to “flick” the corner with a fingernail or razor blade, then remove the carrier with a quick tugging motion. An alternative method is to try lifting a corner of the carrier with a piece of adhesive tape. If the carrier is difficult to remove, the photoresist film may not be completely dry. Why can’t I get the carrier sheet off of the photo mask easily? If the film is a washout-style product, this is often caused by an incomplete drying process. Allow the film to dry longer to ease carrier removal. In the case of RapidMask™, this is caused by the strong adhesive nature of the mask material, and is not a defect. After applying RapidMask™ wait 1-2 minutes before trying to remove the carrier. To remove the carrier sheet, pull quickly with the carrier parallel to the substrate. How long should I expose my films? Please refer to the instruction guide included with your photoresist film for correct exposure times. If the artwork is of correct density, slightly longer exposure times shouldn’t have a negative effect on the final mask. Why can’t I use a blacklight from a novelty store to expose? Or sunlight? Or a tanning bed lamp? Photoresist films are sensitive to a particular wavelength of ultra-violet light (365 nm). Exposure units designed with this output will provide the most consistent results. Using alternative light sources may result in erratic exposure times, and possible failure of the production process. How do I avoid air bubbles in my adhesive when it dries? Try to “paint” the adhesive as smoothly as possible onto the substrate. Use of a foam brush is recommended. Avoid continuous brushing, as the adhesive dries quickly. Mix adhesive thoroughly before use. Be sure not to shake adhesive vigorously, as this will cause foaming and introduction of air bubbles. Are these products dangerous? Bad for my health? Will this process (and its debris) harm the environment? When used as directed, all of our products are environmentally safe. Please refer to product-specific Material Safety Data Sheets (MSDS) for all health and safety information. How should I prepare my glass for etching? Glass should be cleaned thoroughly with a commercial glass cleaner, such as PhotoBrasive's Glass and Surface Cleaner. Ammonia-based cleaners are not recommended, as they may not effectively remove oils or contaminants from the surface. They may also reduce the adhesion strength of the mask. How deep can I etch into my glass with RapidMask? RapidMask HT – up to 1/8” blast depth (depending on artwork). RapidMask HD – surface etch only. RapidMask HD is designed for halftones and light etching only. Sandblasting pressure, grit size, and blasting technique all play a role in how much depth you can achieve. What is the easiest way to remove RapidMask after sandcarving? The easiest way to remove RapidMask is to soak in warm/hot water. Another option is to peel or rub off the mask while rinsing under warm water to prevent scratching of the substrate. Will RapidMask work with all substrates? For applications excluding glass, RapidMask may stain the substrate. The staining appears within two hours of film application to substrate. Testing the substrate is highly recommended. Please contact your PhotoBrasive representative with further questions. Special acrylic instructions: used alone, RapidMask is not a suitable film for use with acrylic substrates. The peel after sandblasting is very difficult and becomes more difficult if the film and substrate are soaked in water. However, if the RapidMask is used in conjunction with BAT (Blastable Adhesive Tape), the peel is greatly improved, especially when the film and substrate are soaked in water. Test all acrylic applications. Which side of RapidMask should be applied to my glass or substrate? Always remove the dull slip sheet and apply the adhesive side to the substrate. How do I apply RapidMask to my substrate? To minimize air entrapment and allow for proper positioning of RapidMask, the “hinge” method is recommended. Clean the substrate using a standard glass cleaner to remove dust and finger prints. Trim any exposed (blue) edges prior to application. Place the RapidMask film slip sheet side down (dull) on the substrate BEFORE removing the slip sheet and position it exactly where it needs to be. Tape along one of the edges using masking tape to hold the film in place. Hinge or flip the film back along the taped edge and remove the slip sheet by placing a piece of tape on one corner and peeling back to reveal the adhesive surface. Carefully move the film back over the substrate, but keep it elevated so it does not prematurely come in contact with the surface. Starting at the taped edge, squeegee the film down on the substrate. Remove the top carrier sheet by placing a piece of tape on one corner and peeling back. Wet lamination application is recommended when applying halftones. Refer to RapidMask High Detail application in the RapidMask HD user guide. Which side of RapidMask should I expose through? Place the printed side of the artwork against the slip sheet (DULL SIDE) of the film. I followed the instructions for setting up my exposure unit and the film turns dark blue but doesn't become brittle. Why? Photopolymer films, like RapidMask, respond to UV light that peaks in the 365 nanometer (nm) range. Even though the color has changed, the film may not be getting the right wavelength of UV light to make it brittle. This can happen when lamps age. They will continue to light, but the output wavelength has shifted, meaning it's time to replace the lamps. Check with your lamp manufacturer to be certain the lamps you are using have a peak output wavelength around 365 nm. If necessary, install new lamps and this should correct the problem. How do I know if RapidMask is exposed properly? You will need to establish the correct exposure time for your particular exposure unit. This is VERY IMPORTANT. The key to proper exposure for RapidMask is getting enough UV energy into the film so it changes color from green to dark blue where light hits the film and makes it brittle. The key requirement is that the film gets brittle. Follow the "Setting Up Your Exposure Unit" procedure in the RapidMask processing instructions. RapidMask is very tolerant to over-exposure, so always err on the side of more exposure rather than less. Why must I use photonegative artwork instead of photopositive artwork? RapidMask works differently than other films. With this film, clear = blast. When UV light passes through the clear areas of the artwork to expose RapidMask, these areas of your glass or substrate will be etched. The exposed areas of RapidMask are blasted away during sandcarving, while the unexposed areas remain to protect your substrate. 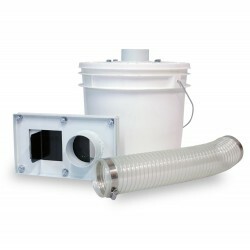 RapidMask does not require a washout step. How does it work? During the exposure step, UV light passes through the clear areas of the artwork, changing the color of RapidMask from green to dark blue. These dark blue areas become brittle and are blasted away. Once the blue, brittle areas are removed, glass etching occurs in the usual way. How do I know when UltraPro is dry/ready for use? UltraPro is usually ready to use once it has returned to a solid color. If the carrier sheet is difficult to remove, this means there is still some moisture between the carrier and the emulsion. Allow the film to dry a little longer, and this should make carrier removal easier. How long can UltraPro dry at room temperature? The film should not be left exposed for extended periods after it is completely dry. This will cause loss of adhesive capability. Masks that will not be used right away should be stored on release paper. How long can UltraPro be stored on release paper? Processed masks can be stored for extended periods of time. Varying environmental conditions can cause masks to age quickly. Under proper conditions (moderate temp. and humidity), masks can be stored for at least 3 months. How do I know which side is the dull (emulsion) side of UltraPro? An easy way to tell the difference is to lightly drag a sharp object (or fingernail) across an unused edge of the mask. The dull side (slip sheet) will tend to "catch". The shiny side will allow the object to slide easily. What do I do if my UltraPro will not stick after developing and drying? This usually indicates the film has been over-dried. The film can still be used, but requires an application of blastable adhesive to the substrate. An alternate method is to re-activate the adhesive with a very light application of water to the mask.